Dragonbot is designed to support long-term learning interactions between children and robots. One of the major problems we face globally, but especially in the United States, is inequality in education. Children whose parents talk and read to them more get an early advantage. Technology advocates have tried to supply new tools to expand educational access, but their success has been hindered by the fact that learning is, for humans who are social animals, a social activity. Some researchers at MIT are trying out social robots that talk and read to kindergarteners. 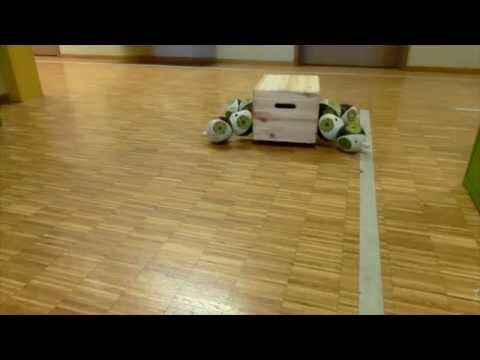 The bots look like stuffed animals, make eye contact and adapt their level to the tykes’ performance. Could 3D printing provide artificial kidneys? For their senior project, Anson Ma’s engineering students at the University of Connecticut were asked to build an artificial kidney. Obviously, the kids didn’t have access to stem cell technology, so they went old school — sort of. They used a 3D printer to create a hollow shell with a biocompatible surface. For the inner parts of the kidney, where the filtering work takes place, the students found that the membrane they needed would push beyond the resolution that most printers can deliver and instead obtained a hollow fiber membrane. Could the kidney work? It’s possible: Artificial hearts came around long before stem cells and 3D printers did, and no one has yet managed to produce a functional kidney from stem cells. Autodesk, a maker of 3D modeling software, is making a play to expand 3d printing. It announced open-sourced 3D printer software and reference printer. What Android did for smartphones, the Spark printer software will do for 3D printing, Autodesk hopes. While there are already open-source printers, such as RepRap, on the market, none has the muscle of Autodesk behind it. Autodesk aspires to push the price of printers down, so more people use them and consequently need its modeling software. There are no plans to make that open source. Furniture, particularly for small spaces or modular offices, can be a bear to assemble and move. Why not let robots do it—and to save space, make the robots double as the furniture? Scientists at the EPFL have designed robotic bricks that connect to one another and self-assemble. Users create the layout in a tablet app. Singularity Hub has covered several efforts to replicate the biology of the human brainwith silicon chips to simultaneously improve computer technology and jumpstart research into the brain. But Randal Koene wants to upload our individual brains to silicon, measuring each activity and translating it into actionable computer code. This would make it possible for any one of us to live forever as a computer program, and,according to Koene, the more conventional methods at brain modeling make it almost possible to achieve his vision now. If you pinch the computer simulation, does it not say “ow”?